It’s summertime! Get your grill on with these quick & easy seared tuna and mango kabobs. 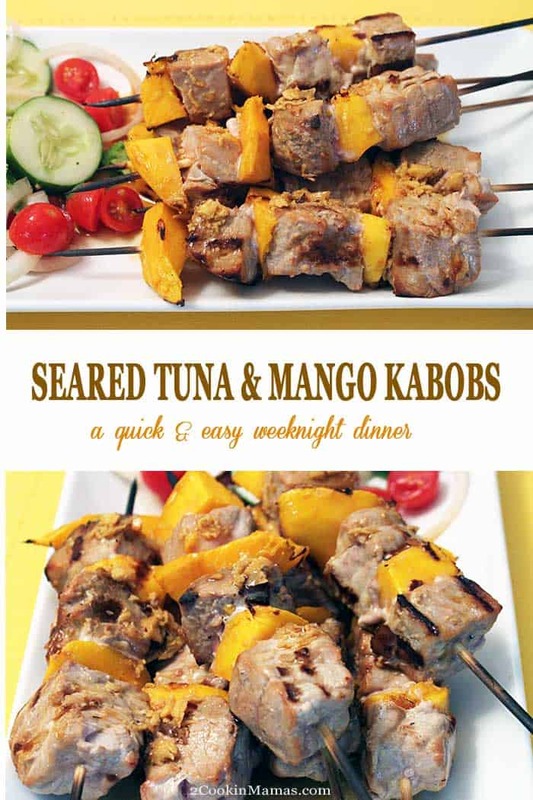 Chunks of juicy, tender ahi tuna are skewered with fresh sweet mango chunks for a health, delicious weeknight dinner. 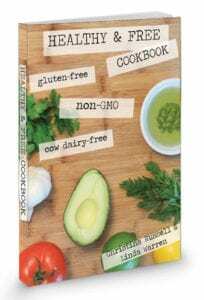 If you read our blog regularly you will know that my husband and I are trying to eat healthier. By adding more fish and less red meat to our diet we are cutting down on artery clogging fats and amping up our immune system with tons of omega 3’s. Yay us! And what could be more beautiful than a slightly seared on the outside piece of tuna! Nope, can’t think of anything. 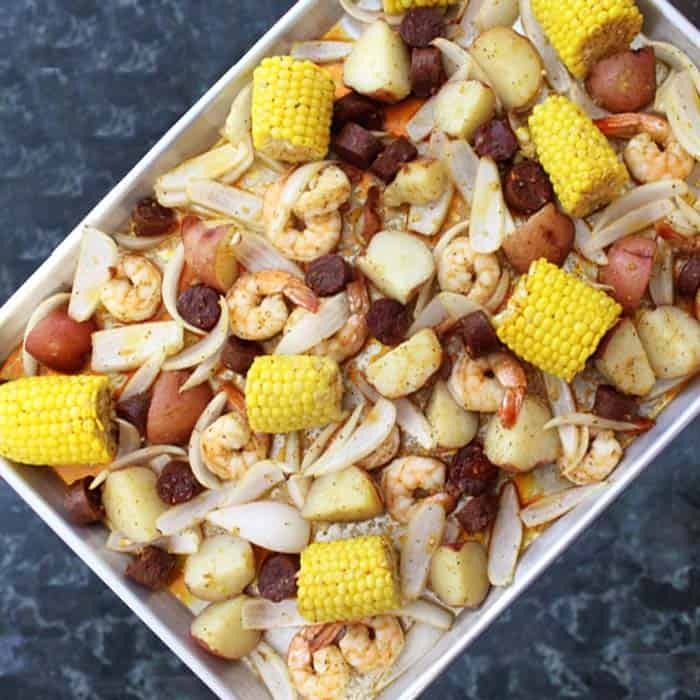 Grilling has never been tastier or healthier! 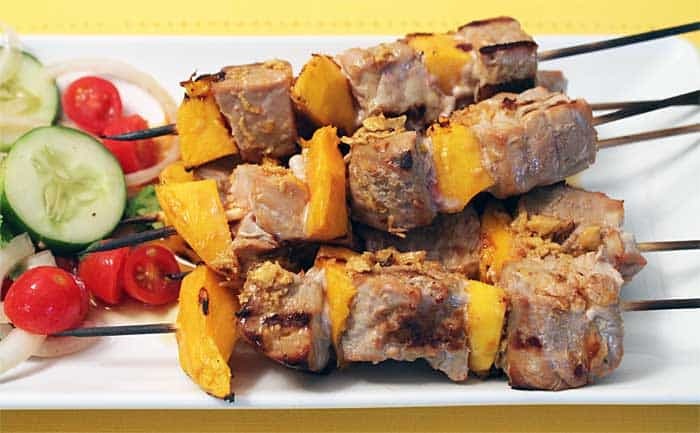 Today I have taken a beautiful piece of ahi tuna and cut it into large chunks then threaded it onto skewers alternating with pieces of our delicious mango from our tree. Then all it takes is several minutes on the grill and you have yourself a healthy and super delicious meal. I usually serve ours with either pineapple fried rice or a cool Cucumber, Tomato & Onion salad. 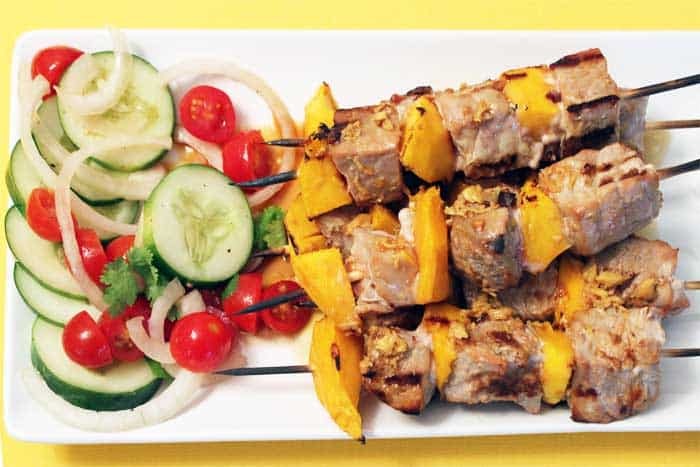 This seared tuna and mango kabobs dinner turned out so well that I’m going to serve these same kabobs on smaller skewers as an appetizer at my next get-together. Enjoy! 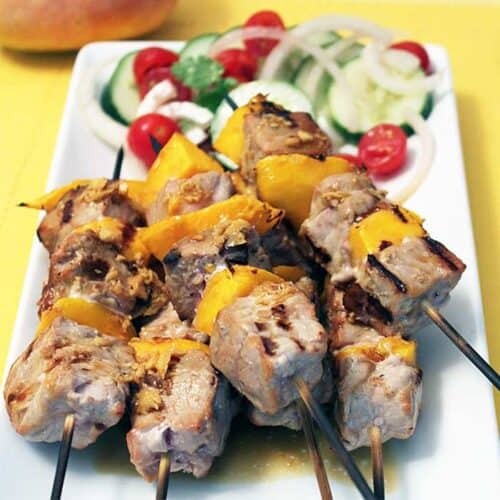 Get your grill on with these quick & easy seared tuna and mango kabobs. 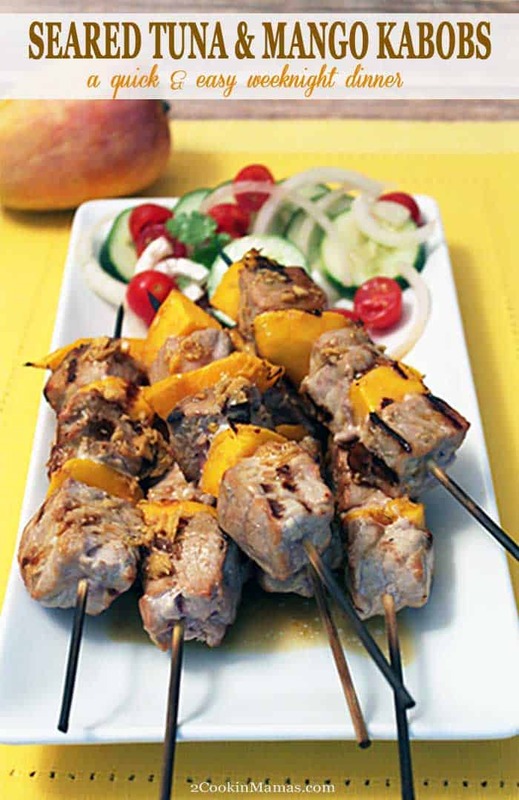 Chunks of juicy, tender Ahi tuna are skewered with fresh sweet mango chunks for a health, delicious weeknight dinner. Place tuna chunks into a resealable, zippered plastic bag. In a small bowl, mix orange juice, soy sauce, olive oil, ginger and red pepper flakes. Set aside 2 Tablespoons of liquid mixture and pour remaining into resealable bag with tuna. Seal, place in refrigerator, and marinate for at least 30 minutes, turning often. If using wooden skewers, place into a bowl of water and let soak for 30 minutes. 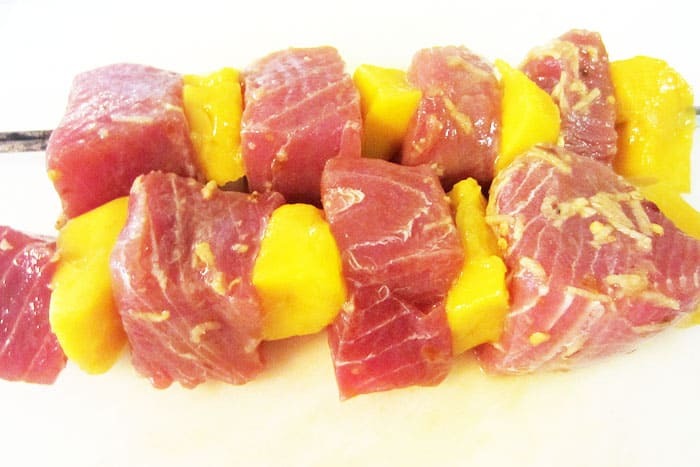 While grill is heating, thread a piece of tuna alternately with a chunk of mango onto skewers. Place on hot grill and sear 2 minutes on each of 4 sides. 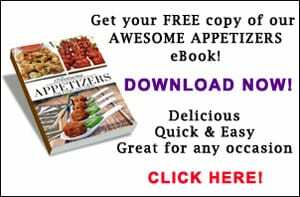 Remove from heat and place on serving platter and drizzle with reserved marinade. 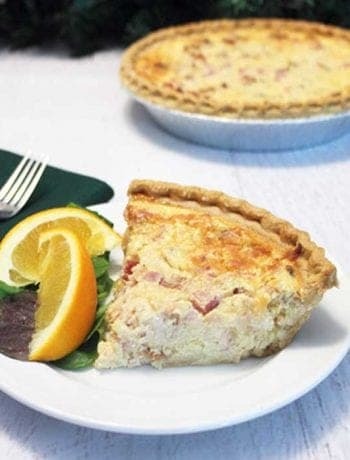 Your tuna should be reddish pink in the middle and a nice golden brown on the outside. 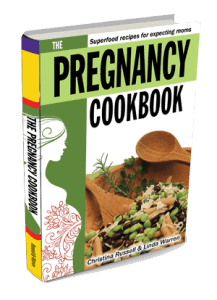 This recipe becomes gluten-free when using Tamari instead of traditional soy sauce. 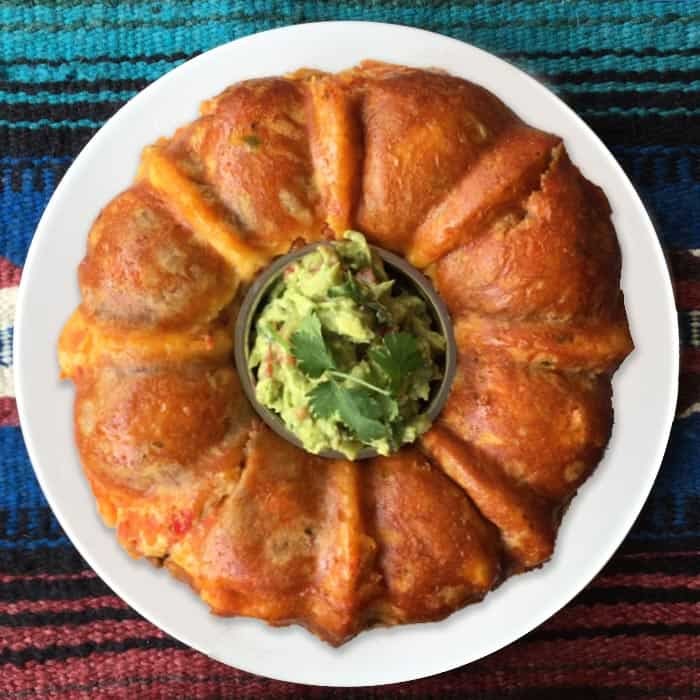 Wine Pairing: I think my favorite pairing with this meatier fish is a nice Pinot Noir but you could also opt for a Zinfandel or even a Sangiovese. If white is your preference, stick with an oaked Chardonnay or a Pinot Grigio.